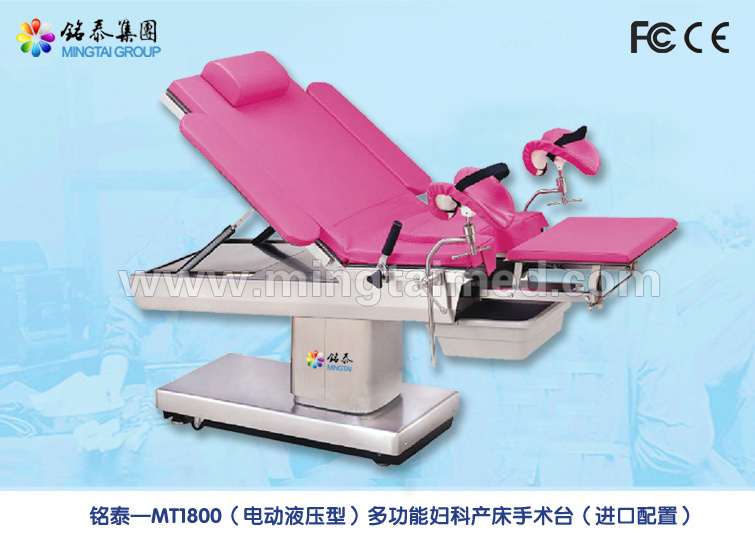 Mingtai MT1800 electric hydraulic model gynecological beds this series Operation Table`s height adjust, forward/backward tilt, back rest adopts imported electric hydraulic driving method, operated by hand press control, it is very convenient and flexible. Hydraulic system use imported pump motor power, solenoid valve. The whole performance is very reliable, durable, this series product`s mattress mould is integrally formed, no gap, antibiosis, easy to clean. 1. This series operation table`s height adjust, forward/backward tilt, back rest adopts imported electric hydraulic driving method, operated by hand press control, it is very convenient and flexible. Hydraulic system use imported pump motor power, solenoid valve. 2. The whole performance is very reliable, durable, this series product`s mattress mould is integrally formed, no gap, antibiosis, easy to clean. 8. Optional luxury folding pedal board, pedal can be folded up and down, that can rotate, removable. 9. Optional advanced hip board function, the hip on both sides of the motor, safe and convenient, convenient for clinical doctors each work need. Looking for ideal Medical Device Gynecology Examination Table Manufacturer & supplier ? We have a wide selection at great prices to help you get creative. All the Ldr Delivery Bed are quality guaranteed. 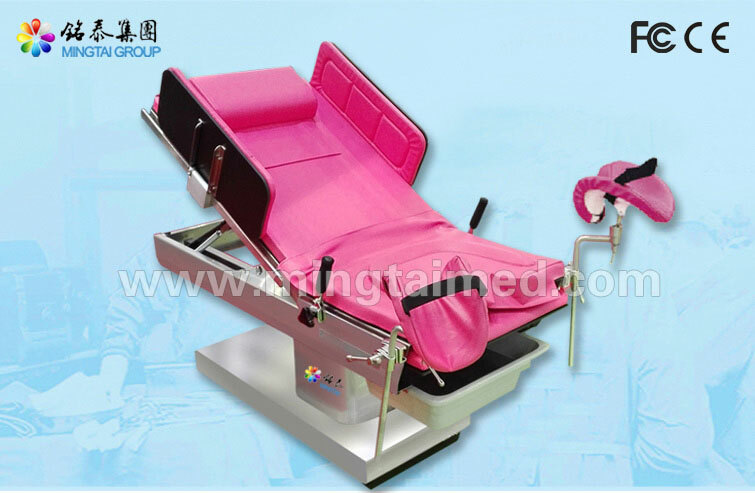 We are China Origin Factory of Gynecologist Obstetric Chair for Sale. If you have any question, please feel free to contact us.